In the fall of 1918 no German position was as strongly held as the Drocourt-Quéant Line. 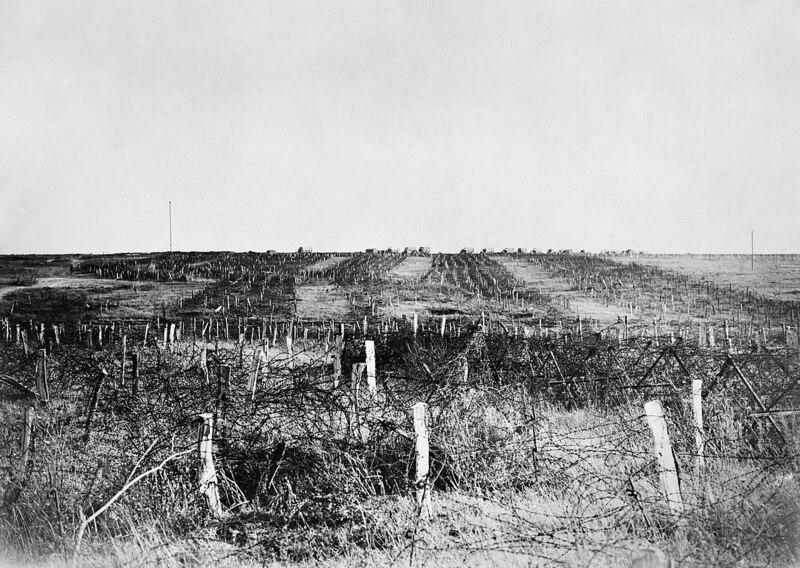 A dozen miles east of Arras, the D-Q Line was the heart of the enemy defences on the Western Front, the lynchpin of the vaunted Hindenburg Line of which it formed a central part. Deep dug-outs and tunnels, countless machine guns poking out of steel and concrete bunkers, preceded by successive lines of trenches and a veritable forest of barbed wire. Eight entire divisions manned it. German High Command, with some reason, believed it to be impregnable. On September 2nd, 1918 preceded by a massive artillery barrage, troops of the Canadian Corps stormed it and took it in a single day. As a battalion history would later write, it was “a red letter day” in the history of the British Army. With its loss went German hopes of holding there for winter; its defenders retreated to the watery barrier of the Canal du Nord. Outflanked, the German armies to the south began a broad withdrawal to the Hindenburg Line itself. In the days thereafter the British Third Army liberated village after village, virtually unopposed.